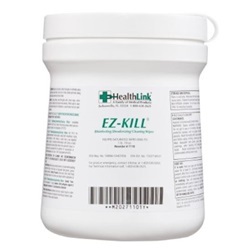 EZ-Kill disinfectant cleaner wipe with pull-up dispensing method. 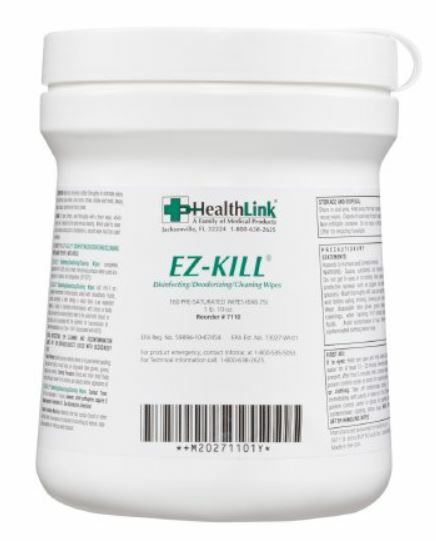 Manufactured by Healthlink and contains Isopropyl Alcohol, 2-Butoxyethanol, Ethylene Glycol. Comes 160 wipes per canister.